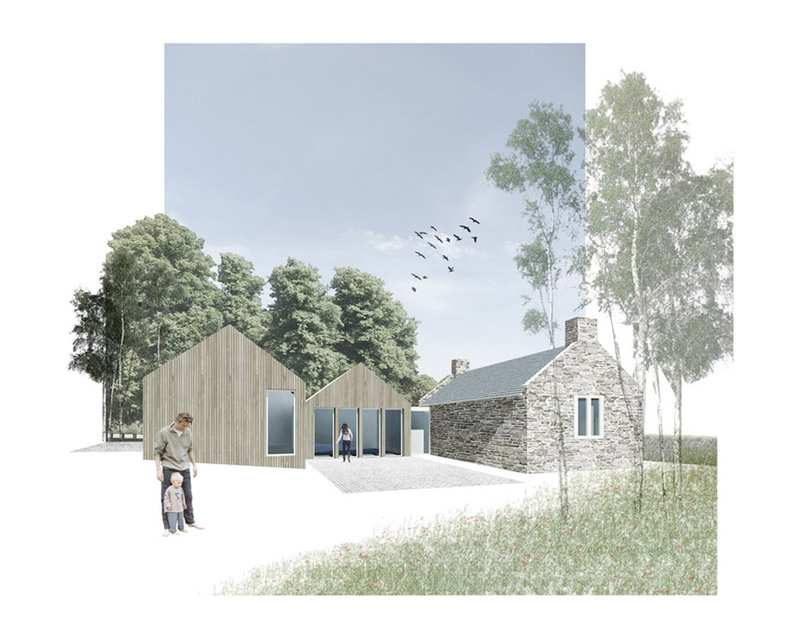 Planning permission has been secured for a new family house developed from a derelict stone bothy in the East Lothian countryside. 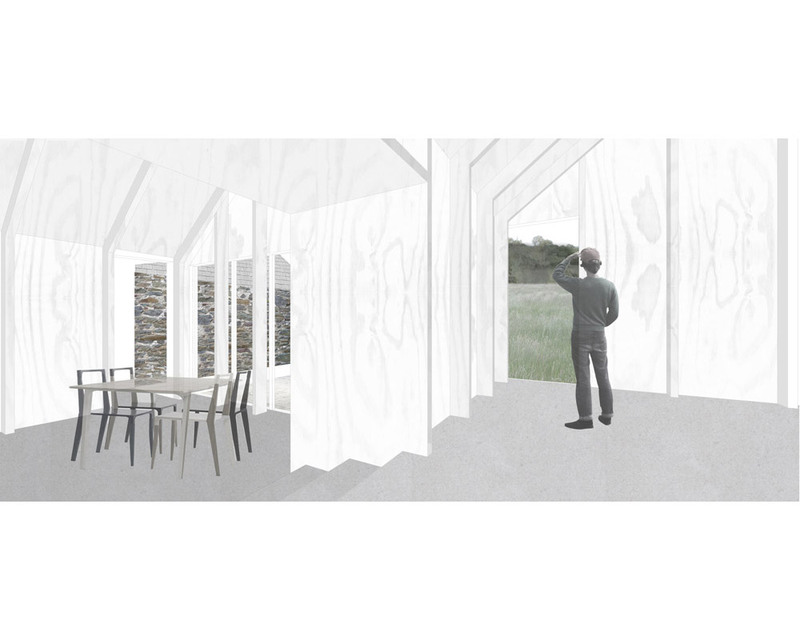 The form of the traditional stone bothy is echoed by two new timber clad additions. 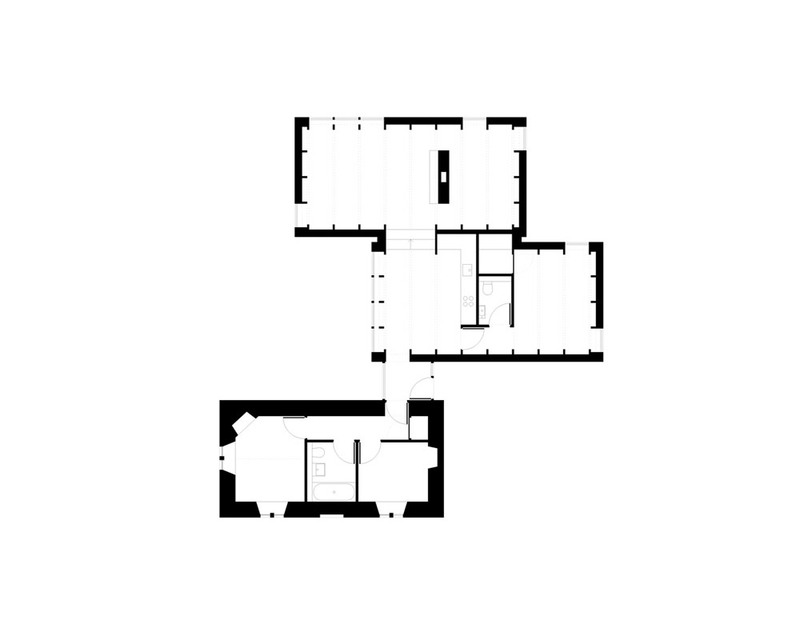 The juxtaposition between solid stone bothy walls and lightweight timber framed additions is expressed internally through an exposed structure. The staggered volumes direct and frame views of the surrounding countryside from within, making the experience of each room distinct, while defining sheltered external spaces.